The exhortation was made in a speech delivered by Maulana Abdul Rehman al-Nadwi al-Hindi — a pseudonym. Germany announced last month to arm and train the Kurdish Peshmerga forces, who are battling IS militants in Iraq. Ansar al-Tawhid fi’Bilad al-Hind, a group of Indian jihadists based in Pakistan’s northwest border area, has called on supporters to stage attacks on western nationals, in an Eid message released online late on Friday. “If you are in the fortunate position to kill an American or European, whether French or Australian or Canadian, or other unbelievers who have declared war on the Islamic State, then do so,” the declaration exhorts followers in India. The exhortation was made in a speech delivered by Maulana Abdul Rehman al-Nadwi al-Hindi — a pseudonym, Indian intelligence services believe, for fugitive jihadist Sultan Abdul Kadir Armar, a 39-year-old former resident of Bhatkal in Karnataka who trained as a cleric at the Dar-ul-Uloom Nadwat-ul-Ullema seminary in Lucknow. “Kill the mushrik (idolators) wherever you find them… shoot them if you can, stab them, throw stones at their heads, poison them, run them over, burn their fields — and if you are unable… spit in their faces,” he says in the speech. “Target the security forces, the agents, and the helpers of the oppressors, cut down their beds (so they might not rest), harry their every moment”. He adds: “Spilling the blood of civilians and soldiers are both permitted… (for) the blood of an unbeliever is like the blood of a dog”. 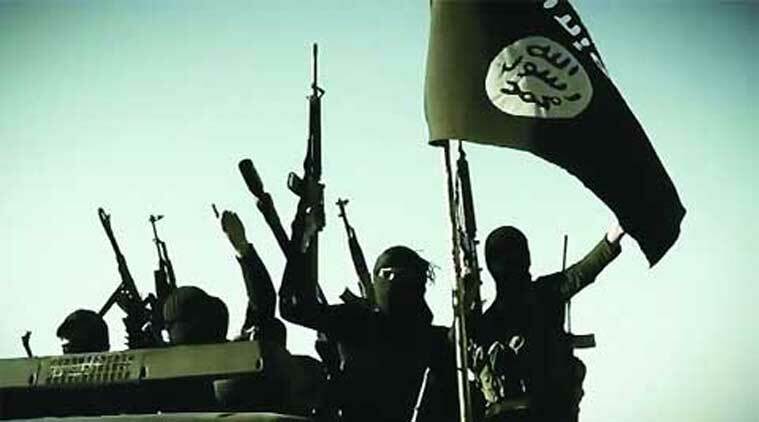 Indian jihadists have been involved in attacks on western nationals — the suicide bombing of Glasgow airport in 2007, conducted by Bangalore-origin scientist Kafeel Ahmad, and a September 2010 Indian Mujahideen (IM) attack outside Delhi’s Jama Masjid which left two Taiwanese tourists injured. This is, however, the first call by any mainly-Indian jihadist group to attack western nationals. Ansar al-Tawhid fi’Bilad al-Hind — or the Companions of Monotheism in India — is made up of breakaway members of the IM, whose Karachi-based leadership is wanted by Interpol for a series of urban bombings that has claimed hundreds of lives since 2005. In his speech, “Maulana Abdul Rehman” says his call is the outcome of western air strikes on the Dawlah Islaymiyya — or Islamic State declared by jihadist leader Ibrahim al-Awwad al-Badri in parts of Iraq and Syria. He pledges loyalty to al-Badri, acknowledging his status as Caliph, or ruler of all Muslims. “The Prophet established a state in Medina, just a few kilometres large, and it swelled to thousands of kilometres. The hypocrites and apostates fear this will happen again, and have united to extinguish the light of Allah to be extinguished,” he says. “Rise, stand and defend the Islamic State, wherever you are… Rise and defend your Muslim brothers, whose homes, property and honour are under attack. If we fail, dishonour greater than all imaginable dishonour awaits us. But if we succeed, which with Allah’s aid we will, then our honour will be restored, and we will become rulers of all lands, kings of all the world,” he says.